Looking for an easy way to book your next vacation? Booking your vacation rental is as easy as 1, 2, 3 with ERA Team VP Real Estate & Vacation Rentals! The ERA Team VP website is a fast, easy, and effective way to browse all 200+ rental properties located throughout Chautauqua Institution, Chautauqua Lake, and Ellicottville. Each property has a wide array of high-quality photos, so you know exactly what to expect before you arrive! Whether it’s a historical home on the grounds of Chautauqua Institution, a Chautauqua Lake lakeside home, or a cozy chalet in Ellicottville, NY, we have what you’re looking for! 5. Request More Information; Add to Your Favorites; Perform a Quote; Utilize the Split Cost Calculator; and More! It’s that simple! Of course we have an experienced staff of seasoned Reservationists who are available for further insight or questions. Head over to www.myteamvp.com today to book your stay! Your dream vacation awaits! Looking to Explore Outside the Gates by Foot? Check out these 3 unique shops within walking distance of Chautauqua Institution! Owned and operated by Sandra Duffee and Heather Johnson, this gallery and boutique shop specializes in “extraordinary” home décor, boutique clothing and jewelry, candle, cards, family games, antiques and so much more! During the summer, make sure to sign up for one of their Miniature Classes, where they will assist you in making your very own miniature to take home and put in your dollhouse. 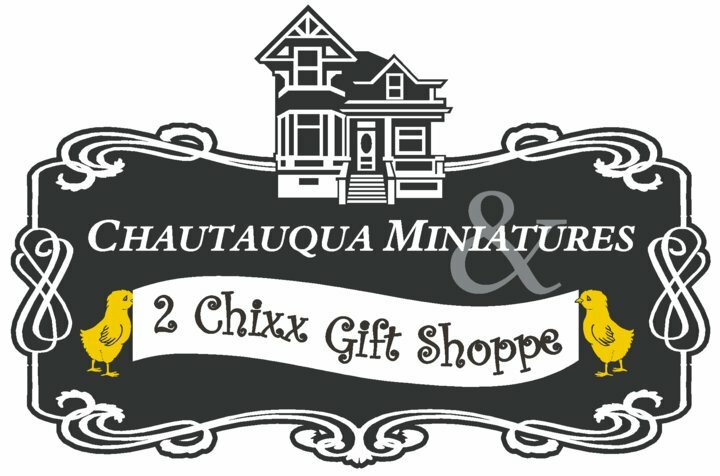 Whether stopping by just to browse the gallery, pick up something special for your home, or a unique gift for a friend, Chautauqua Miniatures and Dollhouse Gallery & 2 Chixx Gift Shoppe is truly a one stop shop! For more information on Chautauqua Miniatures and Dollhouse Gallery & 2 Chixx Gift Shoppe call 716-753-3100 or follow them on Facebook. 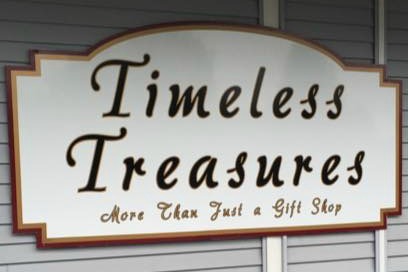 Timeless Treasures is a specialty boutique shop that sells unique and colorful home and fashion accessories. The owner, Laura Miele, specifically stocks the shop with merchandise that is either Fair Trade, Made in the USA, eco-friendly, or made by local artists. For more information on Timeless Treasures call (716) 789-2073 or follow them on Facebook. Visit this one-of-a-kind, seasonal art gallery and gift shop owned and operated by independent artist, Bonnie Beyer. Even if you have visited The Art Loft before, it is worth the trip back, as the gallery is an ever-changing, malleable space that represents over 100 artists. 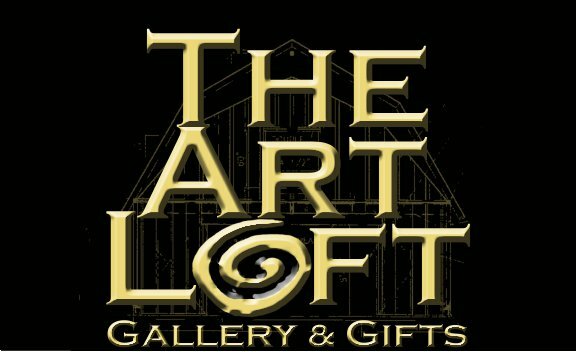 The Art Loft is a must see-for all art lovers! For more information on The Art Loft call (716) 753-5638 of follow them on Facebook. Looking for somewhere to stay in Chautauqua Institution? Give one of our reservationists a call to find your perfect accommodations on or off the grounds! (716) 413-0201. Or make the Institution your home! Visit our 1 Morris office to speak with a seasoned real estate agent or call (716) 413-0200. Whether you are buying, selling or planning for a well-deserved vacation at Chautauqua, our Team is here to help you through the whole process! Posted on May 4, 2016 Author ERA Team VPCategories Chautauqua Institution, Vacation RentalLeave a comment on Looking to Explore Outside the Gates by Foot? Check out these 3 unique shops within walking distance of Chautauqua Institution! The Old First Night Run/Walk/Swim is a timeless tradition that has recently been given an upgrade. This year was the first time advance registration for the race was made available online. And in an embrace of the many ways social media can connect Chautauquans — regardless of where one is physically located on Aug. 3 — there will be a new dimension to the Run/Walk/Swim: an Around the World Race. Those who register for the Around the World Race will be able to participate in the race remotely and share their experience, photos and videos on Chautauqua Institution’s Facebook, Twitter or Instagram accounts. It is DFT Communications, Partners in Technology which has generously sponsored the Around the World Race, expanding the OFN tradition to the virtual world. Of course, in keeping with an already well-established partnership with the Institution, ERA Team VP, formerly Vacation Properties Group, will continue to sponsor the traditional OFN race taking place on the grounds. Bill Soffel, owner and broker of ERA Team VP, is excited for the company to continue its commitment to Chautauqua. The OFN Run/Walk/Swim is a tradition ERA Team VP would like to continue to support. “We’ve enjoyed a nice partnership with Chautauqua over the years, and we look forward to continuing our great relationship into the future,” Soffel said. ERA Team VP searches for local photographs that capture the essence of each area, to be raffled at 4th Annual Agents of Hope Scramble Golf Tournament, with winning photographers awarded a cash prize and a chance to win an Ellicottville vacation getaway. ERA Team VP Real Estate is looking for local photographs that best represent the “hometown” areas of western New York and northwestern Pennsylvania that ERA serves. Nine winning photographs, each representing a different “hometown”, will be unveiled at this year’s 4th Annual Agents of Hope Scramble Golf Tournament that ERA Team VP will be hosting on Wednesday, August 28th, 2013. One of the nine winners will be randomly selected to receive a two night stay, for up to four people, at the Ellicottville Inn Condominiums. The Ellicottville in is located right in the heart of Ellicottville, within walking distance to restaurants and shopping. The remaining winning photographers will be awarded a $25 debit card and all photographs will be featured on ERA Team VP Real Estate’s company websites. The nine winning photographs will be raffled off with all proceeds, as well as tournament proceeds, benefiting The ALS Division of MDA & ALSA (the ALS Association); whose mission is to lead the fight to cure and treat ALS, also known as Lou Gehrig’s disease, through global cutting-edge research, and to empower those affected and their families to live fuller lives by providing them with compassionate care and support. Photo submissions should represent one of the following areas: Bemus Point, Mayville/Westfield, Fredonia, Lakewood/Jamestown, Chautauqua Institution, Ellicottville, Cuba/Olean, Bradford (PA), or Warren (PA). The deadline for submissions is August 7th at 5:00pm, and entries must be a minimum width of 1680px. Please include your name, phone number, and the specific area you believe the photo represents. Multiple submissions per photographer will be accepted. Submit your photos to Taylor Lehman at taylor.lehman@ERA.com. For more information or to submit further inquiries visit ERA Team VP’s Facebook page at www.facebook.com/ERATeamVP.RealEstate. If you choose to include people in your submission, you are responsible for obtaining the necessary releases from the individuals depicted, and must be able to provide copies of those releases to ERA Team VP upon request. In submitting a photograph, you grant ERA Team VP a royalty-free, nonexclusive right, in perpetuity, to: use the photograph on the Internet and company publications and promotions. To register as a sponsor, individual entry, or four-person team for the 4th Annual Agents of Hope Scramble Golf Tournament, or for more information, contact Hanna Soffel Briggs at (716) 789-2093 or hanna.soffel@ERA.com or visit the Facebook page at www.facebook.com/AgentsOfHopeGolf. [CHAUTAUQUA, NY] (07/12/2012) — ERA Team VP Real Estate recently announced the addition of Ted Bogdan & Debbie Rowe to its team of real estate sales professionals serving consumers in the Chautauqua County area and Southern Tier of Western New York. Ted began his real estate career in 1994 when he purchased a gas station in Jamestown, NY. He has spent twenty-five years in the Retail and Petroleum Distribution business, holding positions from Salesman to Company President. Ted has negotiated Leases and Transactions with Fortune 500 Companies, McDonald’s Corp. and Exxon Mobil. Ted has been involved in many aspects of his community including serving as a member of the Chautauqua County Planning Board, the Board of Directors and several committees with Lutheran Social Services, Inc., the Church Council of Holy Trinity Church, Former Director of Empire State Petroleum Distributors Assoc., Former Advisory Director of Pennzoil Products Company and Owner/President of Bogdan Properties, Inc.
Ted holds a Bachelor of Science degree in Economics from Miami University in Oxford, Ohio. He resides in Jamestown, NY with his wife Tracy and two children, Will and Becca. Debbie Rowe joins ERA Team VP Real Estate with over 5 years of real estate experience. 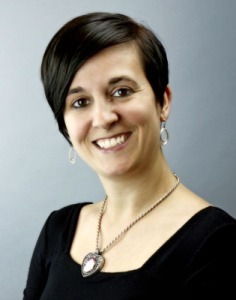 She is a full-time Licensed Associate Real Estate Broker specializing in Chautauqua Institution and the surrounding area. In 2010 and 2011 Debbie Rowe earned the Silver Presidential Award from the Chautauqua County Board of Realtors for $2+ Million in sales each year. Debbie is a member of the Chautauqua Fire Department Auxiliary. 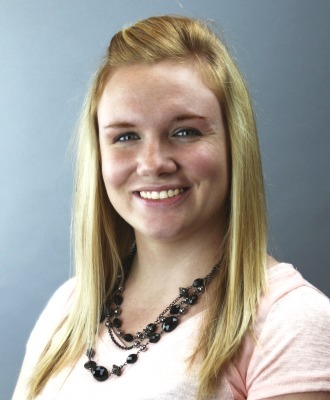 She holds a Master’s Degree in Business Administration from Gannon University. Debbie resides in Mayville, NY with her husband Dave. 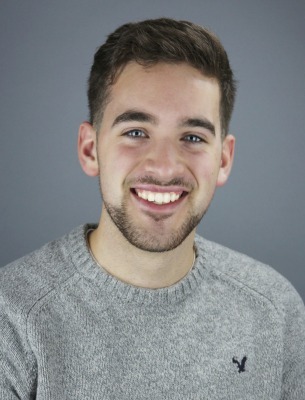 “Unwavering commitment to clients has been critical to my success, and ERA Team VP’s culture of collaboration, innovation and knowledge sharing combined with its reputation for superior service will not only enhance my career, it will enhance the experience of my clients as well,” said Bogdan. As a Licensed Real Estate Salesperson with ERA Team VP Real Estate, Ted Bogdan, as well as Debbie Rowe, Licensed Associate Real Estate Broker, will be able to offer homebuyers and sellers, as well as commercial clients, a wide variety of innovative and market-relevant products and services. These services include the ERA® Sellers Security® Plan and the ERA® Gold Star Property program, as well as robust online marketing programs, extensive listings distribution partners, and related services including mortgage, title and home warranty. For more information about ERA Team VP Real Estate and the real estate market in the Southern Tier of Western New York visit www.myteamvp.com. Call Ted Bogdan at (716) 665-1369; Debbie Rowe at (716) 640-6507; or one of the main office locations: (716) 789-2600 Chautauqua; (716) 699-4800 Ellicottville; (585) 968-2113 Cuba. Team VP Vacation Properties had recently added 4 new rental properties to their Chautauqua Area rental pool! Team VP is known for offering superior vacation rental accommodations in both the Chautauqua and Ellicottville areas. As the summer season draws near vacationers are planning their summer getaways to Chautauqua Lake and Chautauqua Institution. Team VP offers fully furnished and equipped vacation rental homes, cottages, condominiums and town homes. Team VP excels at helping you find the right rental property to fit the needs of your stay! Call Team VP (800) 344-2138 to book your vacation today! Treat your friends and family to a vacation they won’t soon forget on beautiful Chautauqua Lake. Constructed in 2000, this is one of the areas premier lake front properties. You’ll delight in the beautiful furnishings throughout this professionally designed 4 bedroom, 2.5 bath Craftsman style house. Offers a fully equipped kitchen, glassed sunroom, family room and amazing views from the large lake side deck. Master Bedroom (king bed) with custom marble bath, fireplace, nursery, and private covered porch. Bedroom #2 (queen bed); Bedroom #3 (king bed) Bedroom #4 (queen bed). Need More Room? No Problem! Next door is another work of art, a custom built Guest House offering 1800 sq. feet. Downstairs offers kitchen w/microwave & dishwasher (no stove/oven), livingroom with french doors to lake, dining room with seating for 6, full bath w/stall shower, washer/dryer. Upstairs you’ll find 2 bedrooms (2 sets of bunks/1 queen) plus 2 built-in alcove style beds, 2 full baths, and a 20 foot glassed turret office with beautiful lake views. Fantastic Chautauqua Location! A short walk to either the lake or Bestor Plaza! Bright, modern, elegantly decorated 3rd floor condo features one bedroom with a Queen bed and a murphy bed in the living room. One bathroom with tub/shower. Private porch off of living room/ kitchen area with great views, is a perfect place for your morning cup of coffee or tea! Condo also features ceiling fans, wall a/c unit, tv, and dishwasher. Great 4 bedroom lakefront home in Chautauqua Institution. Large lakeside porch offers amazing views of the lake. Full kitchen with dishwasher. Bdrm #1: twin; Bdrm #2: two twins; Bdrm #3: double w/ half bath; Bdrm #4: 2 twins w/ half bath. Sofa sleeper in parlor. Full bath on 2nd floor. Window a/c’s, washer/dryer, grill, WiFi, cable, parking for 1 car-must purchase pass from Chautauqua Institution. Click here to view slideshow. Modern 1 bedroom 1 bath condo centrally located in Chautauqua Institution. Located on the 2nd floor (1 flight of stairs-8 steps) in the Lawson Terrace building. Full kitchen, living/dining area w/ Cable TV/VCR, wireless internet. Ceiling fans throughout. Whirlpool bathtub! Covered back porch (private) w/ Adirondack rocking chairs. Sleeps 2 max! Bedroom has KING bed. Visit Team VP’s entire list of vacation rental properties here. For more information call a reservationist today at (800) 344-2198. Team VP Vacation Properties is offering a great Vacation Rental Promotion for Week 9 in Chautauqua Institution. A featured selection of Chautauqua Institution Rental Properties will be offered for “10% off the Rental Rate plus one extra night FREE” when rented for Week 9 (August 19, 2012 – August 25, 2012). Rent any of these great Chautauqua Institution Properties for Week 9 and save 10% off the Rental Rate plus stay an extra night for FREE! Lakeside Location in Chautauqua Institution, just off of Miller Park! Large, modern North end townhome. Deck with gas grill. Central AC. Bright & sunny! “The Samurai House” Classic Chautauqua home. Central location. 3 levels! Take an Educational Vacation in Beautiful Western New York State! Chautauqua Institution allows us to experience Performing Arts, Religion, Education and Recreation in the scenic and tranquil setting of Chautauqua Lake. Team VP – Vacation Properties would like to let you know that Chautauqua Institution is offering 1 full week dedicated to Global Health and Development as Foreign Policy: Week 1 of Chautauqua’s 2011 Season: June 25 – July 2. As an added bonus, popular entertainment for Week 1 at Chautauqua will include: The Mormon Tabernacle Choir, The Jimmy Dorsey Orchestra, Steve Martin & The Steep Canyon Rangers “An Evening of Bluegrass and Banjo” and more! Find out more about Chautauqua Institution and the details of Week 1 here.